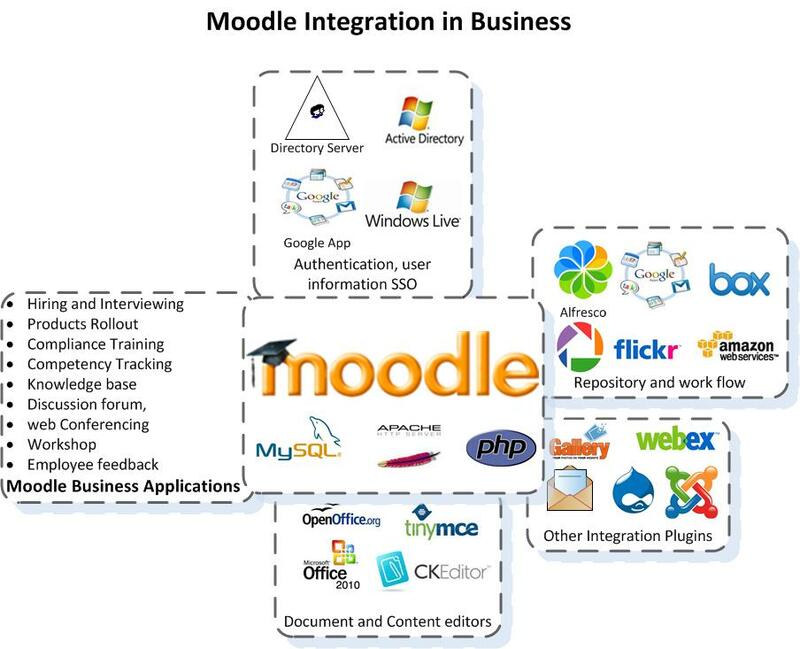 Moodle is the leading Learning Management System out in the market. It is open source and free licensing. Moodle LMS can be used in many types of environments such as in a learning delivery tool in educational institutes, and for business settings; as a community and collaboration tool. Moodle application server: Moodle is mainly deployed on PHP/MySQL/Apache platform; it can also be used with most of the many other standard database and web servers.The modular design of Moodle LMS allows it to address wider range of business issues than other most closed source alternatives. It is a learning management system which lets to manage your learning delivery contents in a structured form. Moodle LMS allows you to manage and track students/trainees enrolment and progress by progress report, collaborating and receiving feedback, social forum and distributing news. Grading, reporting in versus level on course, quiz, assignment topic etc. Moodle market share has seen a rapid growth over last 7 years of years. While it started from less than 100 thousand and now it is over 1.2 million. The reason for this s loyal user base would be Moodle features, scalability and reliability. Open sources eliminates the possibility of any vendor lock down and opens up the community support. There is no requirement for per user licensing. Moodle has millions of registered users who constantly share the ideas, codes, information and free support and this makes scope and possibilities enormous. Who can benefit from learning management system for e-learning? We see Moodle being used in various settings. It can be used in primary schools, high school, colleges and universities and up to business settings, this all can be achieved just by changing the learning delivery and management approach and using different sets of functionalities already available in this LMS platform. Moodle LMS can both be used in a classroom or distance learning setting. We also see Moodle LMS used for student groups from primary years to higher education. Ability to produce and host interactive and multimedia content in this LMS, makes it an ideal platform to engage with the students. This LMS platform also supports standard course formats such as IMS and SCORM. This helps creating a virtual interactive learning environment.User group makes a class of student easy. Course completion, reporting, activity tracking and activity pre-requisite makes the e-learning deliverables more progress based and ensures the quality of the learning delivery. User group makes making a group of trainees easy. Features like course completion, reporting, activity tracking and activity pre-requisite makes the e-learning deliverable more progress based and ensures the quality of the learning delivery as well as compliance are met.